/ Liquor Store POS Software | Blog / Point of Sale / POS Systems Help Liquor Stores Increase Sales, but How? 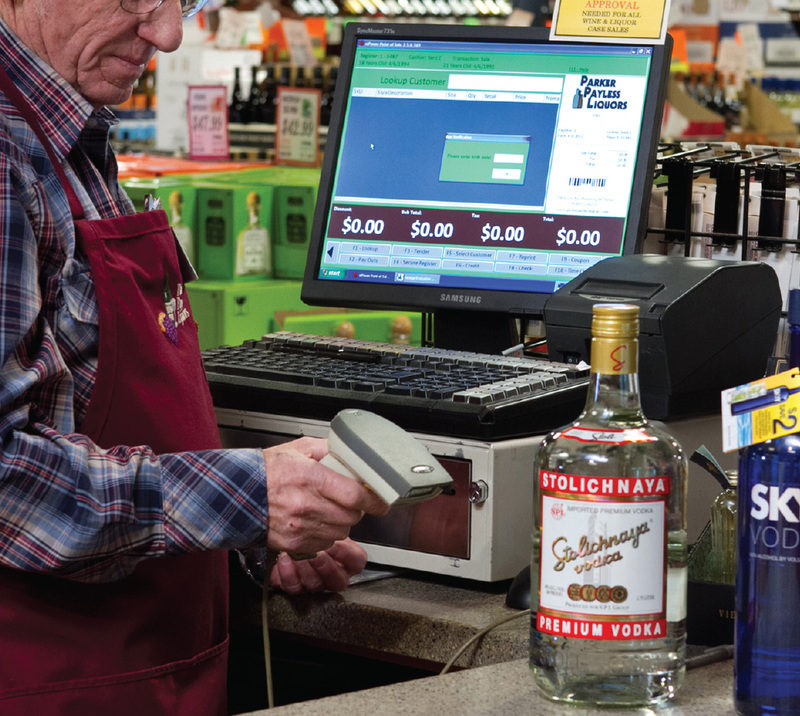 POS Systems Help Liquor Stores Increase Sales, but How? By implementing a liquor store POS system, you can improve sales and profits within your store. This can be done with the correct system in place that easily manages and tracks your inventory. By correctly managing your inventory, you can have the right product on your shelf at the appropriate times and save backroom or warehouse space by not carrying unwanted product. Liquor POS systems help reduce the time a customer spends in line to check out, but evidence suggests that companies aren’t just using their liquor store point of sale systems to track sales. Research analysts looking at the retail industry have found that more and more businesses are starting to use technology and automation to provide an eCommerce option for the customer. eCommerce allows a customer to purchase an item either online via website or app. By allowing customers to purchase online, you are giving them more access to your store, and potentially increasing profits. Additionally, research has shown that more and more people are preferring home entertainment versus going out. By utilizing eCommerce integration such as Drizly, customers can order product from your store without even leaving their house. Not only does this functionality improve the customer experience in dealing with the liquor store, but the option doesn’t increase the time spent tracking eCommerce sales and inventory because the sales data is automated and recorded by the point of sale system. “Doing more with less” is a common phrase uttered by today’s store owners, and POS systems makes that goal easier. Reducing the amount of time you spend on items like accounting means you’re increasing profits even if sales remain the same during implementation of a liquor point of sale system. However, it’s possible to use liquor store POS systems to increase net income in a variety of ways that go far beyond reductions in operating costs. Personalized receipts: Print messages to customers on receipts that offer information on important details like the store’s website, an upcoming sale, or a seasonal greeting. Customer loyalty programs: Liquor store POS systems help you create effective and simple rewards programs for your customers that don’t require extra time spent recording data. Storewide pricing updates: A single entry into the liquor point of sale program is quick and instant and eliminates the need for repeat entries at different locations. Comprehensive liquor store POS systems help store owners not only by creating better experiences for customers, but they also help reduce the costly mistakes made when sales data isn’t centralized and automated. The combination of instantaneous updates to the system and increased accuracy offer the potential for significant savings. POS systems are an important investment for all retailers, and specialized liquor store POS systems can help improve sales even further with specialized features that benefit the beverage industry. A system like mPower Beverage Software can provide its users with multiple features that help reduce costs, track inventory, and integrate all aspects of the retail process. Learn more about mPower Beverage by contacting us — click here!